Istanbul is the official host city for 2013. Turkey has an age-old tradition of jazz. Munir Ertegun, Turkish Republic’s first ambassador to Washington in the 1930s, opened his embassy’s parlors to African American jazz musicians, who gathered there to play freely in a socio-historical context which was deeply divided by racial segregation at the time. 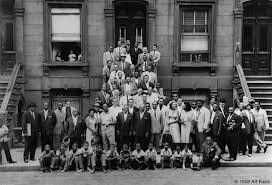 Inspired by this legacy, the ambassador’s sons, Ahmet and Nesuhi, went on to establish the United States’ first jazz and gospel label in 1947 - Atlantic Records - which was seminal in spreading the beauty of jazz music around the world. After the UNESCO General Conference in November 2011, April 30th was declared International Jazz Day.